…When you’re a chef and a restaurateur, you have to do it for the right reasons. It’s not for the glory. It’s more than feeding people. It’s welcoming people into your home and giving them an unforgettable experience, every day of the week. I had the pleasure to interview Lisa Dahl, executive chef and restauranteur of Dahl Restaurant Group. 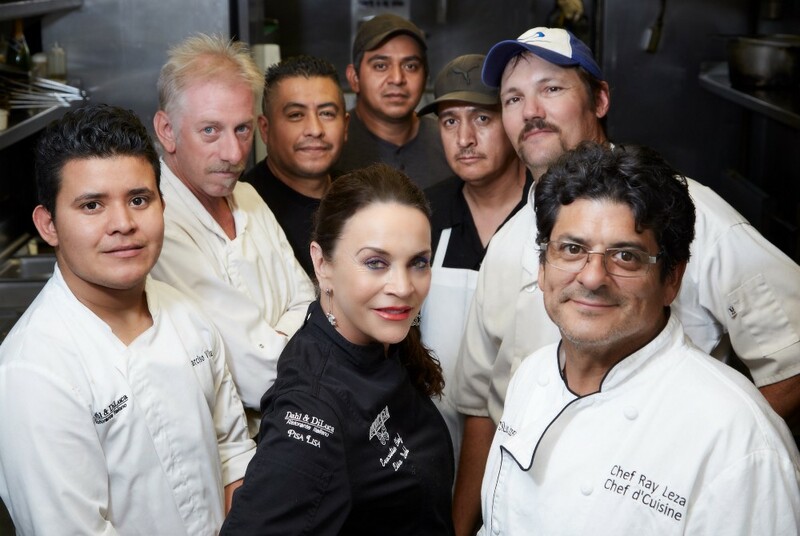 Chef Lisa Dahl is one of the country’s leading female chefs and restaurateurs who has pioneered the culinary scene in Sedona, Ariz. for the past 20 years. 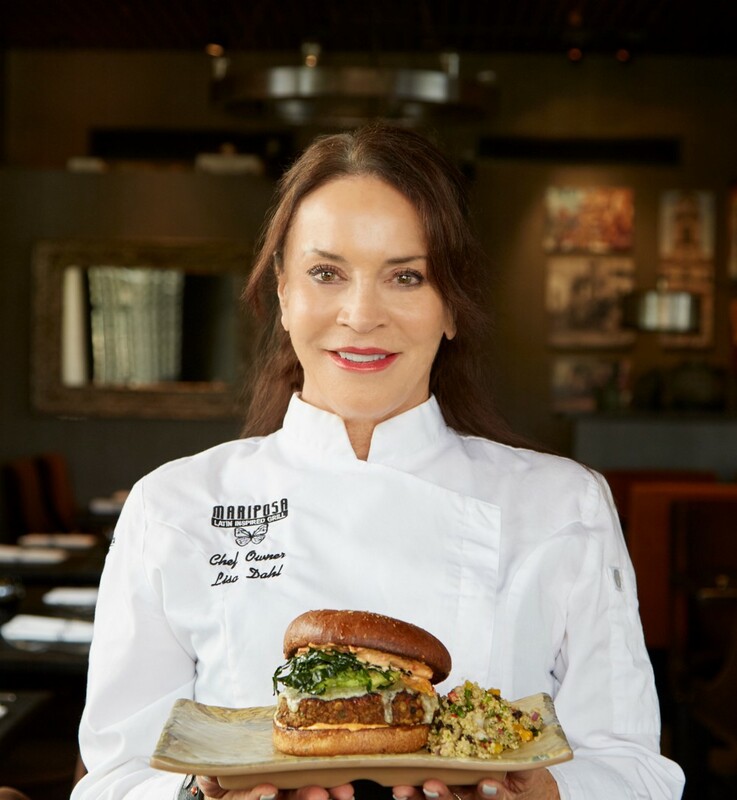 Dahl is the executive chef and owner of four outstanding restaurants in Northern Arizona’s red rock country where she has earned international acclaim for Dahl & Di Luca Ristorante Italiano, Cucina Rustica, Pisa Lisa and her newest, most buzzed-about addition, Mariposa Latin Inspired Grill. Dahl recently announced two new restaurants coming to the Sedona area in early 2019, Butterfly Burger, a “couture burger lounge”, and a second Pisa Lisa location. The love of cooking and love of people. I am Midwest born and working in my parents’ women’s fashion stores gave me the experience in service and hospitality, which perfectly aligned with the restaurant business. This was bred in me and I find joy though providing satisfying dining experiences. I would call the kitchen the greatest schoolroom. Every day, you have the opportunity to learn so much and hopefully to learn patience, patience, patience. A sense of humor is the best ingredient in the kitchen. A type A personality like myself has to find new ways to solve problems because at the end of the day, you’re dealing with a multitude of personalities. This reminds me of when someone said I was a Doctor and psychologist in a past life. It stuck with me because both of those skills are what you need to deal with all types of people that have different aptitude for the kitchen. If everyone you encountered wanted to work with food, then it would be a much easier career choice. Needless to say, you better possess these qualities because it’s a training ground on a daily basis. One thing I’m not is a pastry chef, because precise measurements don’t fit my Aquarian, eccentric personality. So, the things I immerse myself in, I call it my go to’s, are soups, sauces and salads. They bring out the alchemist in me. Finding balance and getting to that level of creation is very soothing for me on a soul level and when I make a soup, it’s so calming. I feel the natural healing of the soup come through me, giving me the properties to heal others. My 93-year-old mother is my guinea pig and every time we have lunch she has to try them. She is addicted to the Sopa de Justino, a very complex soup, a soup of love, made with roasted chicken and sweet and savory vegetables. It has a rich, deep, rustic and spicy broth and we top it off with big chunks of avocado that melt in your mouth. Every time people eat it, they say I can live on it! I think when I went back to Indiana, after not going back for a decade, a local television station was interviewing me and I wanted everything to go great. They had a food processor that was embedded into the counter, the camera was rolling, and as I was getting ready to pulse my veggies-the food starts flying all over the place! It was so traumatic, a true comedy of errors and so hysterical. It showed me that I’m good at faking it under pressure. If you can’t laugh at yourself, you won’t be cut out for it. Getting to have the freedom to do what you love most in life. You can’t put a price tag on that. Creative freedom is the greatest of all elixirs. When I opened my pizzeria, I was criticized on many levels because we weren’t necessarily prepared for the initial volume of business. Some people were so critical that I almost lost my passion because my feelings were so hurt by those that showed up on our doorstep the first week of business. I wanted to close the doors, leave town and bail out. By hitting the very bottom, I somehow was able to have these spiritual realizations of solutions by not letting the negative naysayers take me down. I believe that as much as I felt hurt by all of that, I gained all the more wisdom, strength and a clear vision of what we did have. You have to deal with adversity and in retrospect, I wouldn’t trade it for the world. I recently announced the expansion of my restaurant concepts with the debut of a “couture-burger lounge”, Butterfly Burger, and a second location of my fast-casual, wood-fired pizzeria, Pisa Lisa. Butterfly Burger will be a 2,000 square-foot restaurant offering fast-casual service within a chic, high-end environment. The menu will feature close to a dozen of my award-winning burgers in addition to a dozen signature sauces, which I plan to roll out in specialty grocery stores later this year. My second Pisa Lisa location will be 3,500 square feet and similar in style and menu to the original, located in West Sedona. Pisa Lisa offers wood-fired pizzas, organic salads, tapas and homemade gelato within an eclectic setting that pays homage to my love of Rock ’n’ Roll. · First, is to be a cook, first and foremost. Find your own style and be true to it. So much today is gimmicky. Don’t compare yourself. Find the essence of your soul. I cook from my soul, not because something is in fashion. · Second, when you’re a chef and a restaurateur, you have to do it for the right reasons. It’s not for the glory. It’s more than feeding people. It’s welcoming people into your home and giving them an unforgettable experience, every day of the week. · Third, your life is not your own. I think back to the days when I had one restaurant, one menu, one focus. Now with four restaurants and two on the horizon, I often think, “What did I get myself into?” You have to stand back from yourself and ask, “What am I doing this for?” In my heart as a cook, I just love to bring the essence of my soul to the plate of the people that I serve. This is my calling. Not having distractions and having the clarity to do something you want to make. You do not want to put the creative moment on hold because you might lose the inspirations which would create something spectacular in your Zen moment and experience the little voice in your head and the chrysalis magic of when a great recipe is born. It means that even in the most sorrowful of times like death, in most religions, food is prepared by people outside of the family as those sit in mourning. Food, when it’s made with love, really does have a healing property because it’s provides something we all come together for, like sustenance and comfort. I have been the recipient at times and I have been the giver many more times. When people need to just feel the earth beneath them, it restores a little balance in their life. That’s why I enjoy being a chef, it is a sacred journey and you will experience it all. 1. If you don’t work well under pressure, don’t choose to be a chef. 2. Have a sense of humor- if you can’t laugh at yourself you won’t be cut out for it. 3. Find your own go tos, things that bring out the alchemist in you and master them. 4. If you can’t stand the heat get out of the kitchen! Spreading goodwill through having gratitude. It’s very hard to answer because there is so much good in the world ,but also so many people that are full of hate. I only wish we could just sit down at one giant communal table and break bread and learn to accept more of what we all have in common rather than our differences. I live by a mantra that keeps me grounded everyday- “When you cook with love, you feed the soul’.” I feel the world needs to have their souls fed so in essence, I will just keep cooking because it does have an effect on the cellular memory and conscience in a small way and makes me feel my work is valuable. Oprah and Gayle. I am dying to get to cook for them and I already know what meal I want to make for them!